Stories that are timely, relevant and filled with human interest. Deadlines. Press releases. The difference between earned media versus paid media. That’s a snapshot of topics discussed during the Central Florida Association of Black Journalists’ (CFABJ) community-wide event on Thursday, August 15. The event, held at Nova Southeastern University in Orlando, was designed to educate and enlighten our community, church, professional group, non-profit, and business leaders about the factors considered in media coverage decisions and the requisite communication tools, according to K.L. Newhouse, one of the organizers of the event. This was CFABJ’s second year hosting the annual event, inviting local content decision-makers from various media outlets, including broadcast, print, digital-online as well as Public Relations professionals to serve as panelists to lead the discussion. Here are some highlights: TV news reporters and editors like video. You can send in your own video and that will pique their interest more so than a letter or email. TV news reporters write from your video, one panelist said. You have to do something to make yourself (your organization) stand out. It always help when you contact the editor in charge of the section or segment in which you want your story to be featured. If you are sending something to a news magazine, such as the Caribbean American Passport, send your story idea early by mail or email, well before the 10th of each month (their deadline). The magazine publishes monthly on the 15th. For many media outlets, particularly in Central Florida, if your event has a cost associated with it, you would pay for media advertisement. Earned media air time, say on the radio, would benefit (or interest) a large part of the community and not cost anything. It would help if the event centered around some annual holiday, event, etc., one of the panelists explained. Online requests should be sent via mail or email but should not be in PDF format. Photos are great for online media and print media (preferably in JPEG format). Make sure you include a brief description of the picture and the complete names of people in the picture. It’s a good idea to say who took the picture so that the media outlet can give proper photo credit. The panelists all agreed: In addition to gaining media coverage, organizations can gain awareness just by getting involved in their local communities and developing relationships. There were a few surprises too shared during the event. One panelist mentioned his organization had open reporting jobs and another shared how select non-profit organizations can advertise for free with her organization. 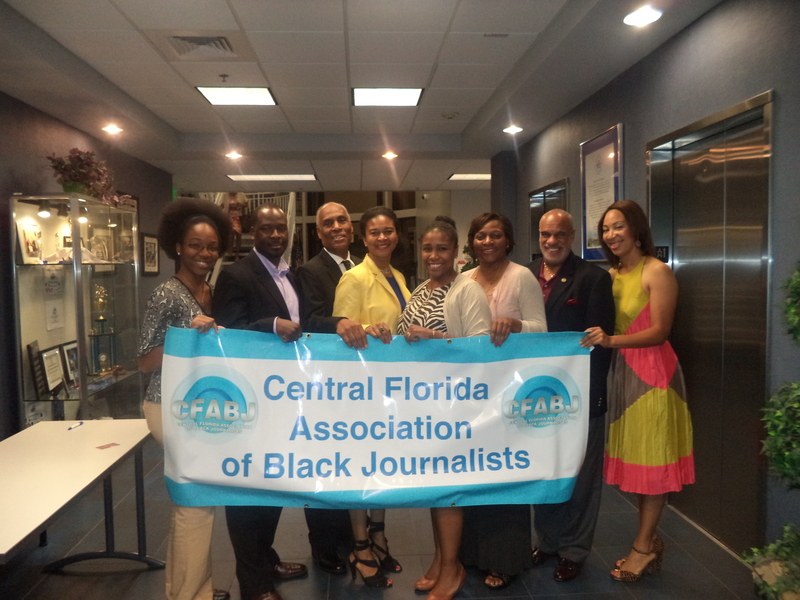 This entry was posted in Community news that can help, Faith and Family, Work and tagged 2013, August 15, Central Florida Association of Black Journalists, Chet Glover, Community Event, Cynthia Harris, Getting Stories Notices by Media, Guenet Roberts, Jim Madison, K.L. Newhouse, Lafontaine Oliver, Nova Southeastern University, Orlando, Orlando Community News, Photo, Tiffany Greene, Trish Martin, Wendy Gustama. Bookmark the permalink.